is the home of fan-favorites like Johnny Spezzano and John Moore. Johnny’s 25-year Heritage Morning Show has tens of thousands of listeners tuning in every morning from 6am-noon. John Moore has delivered credible local news for 25 years. 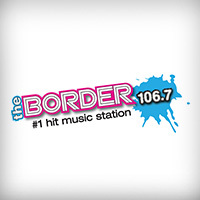 From 12 noon-6pm, Blaze provides hit-loving listeners with The Borders Most Music Work Day. Bakon plays Red Hot Hits till Midnight. Known as the Official Weekend Party Station, The Border brings you AT40 with Ryan Seacrest and an endless list of top artists like Katy Perry, Lady GaGa, Maroon 5, The Black Eyed Peas, and more! Special local reports keep the community up-to-date with skiing, boating and fishing reports, along with the latest news about North Country School and business closings. Coverage Area: Jefferson, St. Lawrence Counties; Southern Ontario including Kingston and Brockville, and Lewis County.